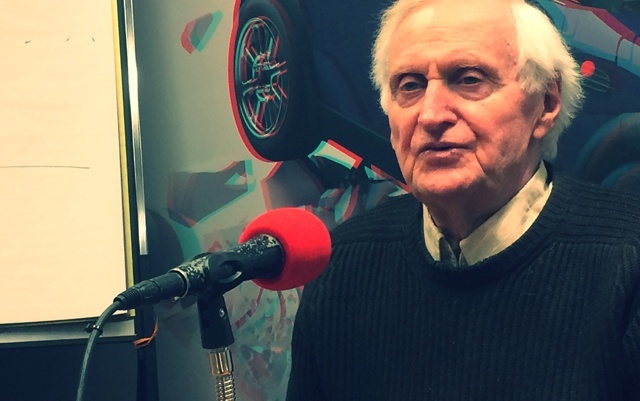 Legendary film director John Boorman ("Deliverance", "Point Blank") is the guest. His latest feature film, Queen and Country —a sequel to 1987's "Hope and Glory"— is currently entering its second week at Film Forum in NYC. The film is screening through Tuesday, March 3rd following a very successful retrospective. The hilarious highlight of John Boorman’s "Hope and Glory", nominated for 5 Oscars: 9-year-old Bill Rohan rejoices in the destruction of his school by an errant Luftwaffe bomb. "Queen and Country" picks up the story nearly a decade later as Bill (Boorman’s alter-ego) begins basic training in the early Fifties, during the Korean War. Bill (played by a charming Callum Turner) is joined by a trouble-making army mate, Percy (Caleb Landry Jones). They never get near Korea, but engage in a constant battle of wits with the Catch-22-worthy, Sgt. Major Bradley -- the brilliant David Thewlis. Richard E. Grant is their superior, the veddy, veddy, infinitely put-upon, aptly-named Major Cross. A superb ensemble cast limns a wonderfully funny and often moving depiction of a still-recovering postwar England. Follow us on Facebook, Twitter & Instagram. The podcast is also available on iTunes.